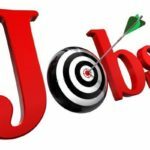 Private jobs in Jammu and Kashmir, For all latest Jobs, Recruitment, Notification, Interview Schedule, Selection lists, Results, Alerts and updates. Privates Jobs, Part time jobs, Jobs of Graduates, Jobs for Engineers. Download New Version Of Jkalerts App. Existing user Please Update !! J&K No 1 jobs alerts portal for latest Govt and Private Jobs Recruitments, Notification, Selection list, Results, Interview Schedule and much more from various Govt Departments likes JKPSC (Jammu and Kashmir Public Service Comission), JKSSB (J&K Service Selection Board), Controller of Examination (COEJU), University of Jammu, University of Kashmir, SMVDU (Shri Mata Vaishno Devi University), BGSBU (Baba Ghulam Shah Badshah University), Islamic University of Science and Technology (IUST), Central University of Jammu (CUJammu), Central University of Kashmir (CUKashmir), SKUAST Jammu, SKUAST Kashmir, J&K Police (Recruitment Notices SI, Constables Notifications), SKIMS (Sher-i-Kashmir Institute of Medical Sciences), GMC Jammu (Govt. Medical College Jammu), GMC Srinagar (Govt. Medical College Srinagar), JKBANK (Jammu and Kashmir Bank), JKHME (J and K Dept. of Health and Medical Education ), JKBOPEE (J&K Board of Professional Entrance Examinations), JKGAD (J and K General Administration Department), DSEJ (Director School Education Jammu), DSEK (Director School Education Kashmir), J&K Dept. of School Education, JKHC (J&K High Court), KC International School Jammu, KC Public School Jammu, DPS Jammu ( Delhi Public School Jammu), Presentation Convent Sr. Sec. School Jammu (PCS Jammu), G D Goenka School Jammu, JKBOSE, Government Jobs, JK Public School, JKICDS (Integrated Child Development Services Jammu), J&K Directorate of Economics & Statistics, K V Sangathan,CSIR - IIIM (Indian Institute of Integrative Medicine). JKALERTS | Jammu and Kashmir Alerts & Updates Copyright © 2019.